Why Don’t Propane Prices Drop Like Gasoline? With oil prices plunging over the last several months and consumers feeling relief at the pumps, we have been asked frequently why propane prices have not dropped just like gas prices. It is important to understand all the factors that go into fuel pricing, the input costs, the transportation and distribution costs, and the entire supply/demand environment. The bottom line is propane prices do not fluctuate with gas prices at the pump. Propane is actually a by-product of natural gas. Actually natural gas prices are a closer correlation to propane prices; however, that is not entirely the case either because natural gas is piped straight out of the ground and into the network of pipelines that distribute across the country. Natural gas is not stored in tanks, therefore the prices can increase/decrease with the output levels and demand across the country. Propane, on the other hand, can be stored in tanks and there are strategic reserves set up across the US in underground salt caverns. Because propane can be stored, the pricing changes based on supply/demand but also based on national inventory levels. So long story short, there is not one single petroleum product that is a good benchmark for propane prices. Similar to how when oil prices go up and down we don’t always see that reflected in the price of gasoline we pay at the pump. Generally, propane dealers do not change their prices unless there is a high degree of volatility in the market since a significant portion of propane prices is the trucking expenses required to deliver propane to your home or business. You will find that most propane suppliers may only update prices once or twice a year and there have been periods over the last decade where prices did not change for years. Another factor is that since propane is primarily a seasonal fuel and is often used as a backup fuel in industrial uses (for when natural gas prices get too high), then propane prices tend to increase in the winter, but national inventory levels and the current supply/demand environment for natural gas also contributes. 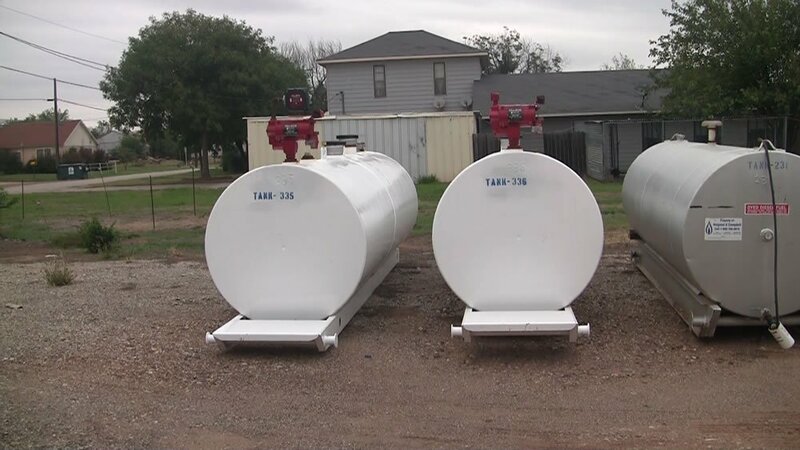 By joining our “keep full” program, we’re able to offer our best prices because we put you on our route and are able to monitor your tank and fill you up when we are in your area filling up your neighbors. By eliminating the need to make one-way trip for just one customer, all our customers in that area are able to share in the cost savings of reduced trucking costs, which ultimately leads to the lowest possible price per gallon. For more information on the current propane prices in your area, contact one of our fuel professionals here at Haigood & Campbell.